In the February edition of the journal Conservation Biology, Drs. Rodrigo Estevez, Christopher Anderson, Cristobal Pizarro and Mark Burgman published the review entitled Clarifying values, risk perceptions, and attitudes to resolve or avoid social conflicts in invasive species management. Summary. Decision makers and researchers increasingly recognize the need to effectively confront the social dimensions and conflicts inherent to invasive species research and management. Yet, despite numerous contentious situations that have arisen, no systematic evaluation of the literature has examined the commonalities in the patterns and types of these emergent social issues. Using social and ecological keywords, we reviewed trends in the social dimensions of invasive species research and management and the sources and potential solutions to problems and conflicts that arise around invasive species. We integrated components of cognitive hierarchy theory and risk perceptions theory to provide a conceptual framework to identify, distinguish, and provide understanding of the driving factors underlying disputes associated with invasive species. In the ISI Web of Science database, 15,915 peer-reviewed publications on biological invasions were found; 124 included social dimensions of this phenomenon. Of these 124, 28 studies described specific contentious situations. Social approaches to biological invasions have emerged largely in the last decade and have focused on both environmental social sciences and resource management. Despite being distributed in a range of journals, these 124 articles were concentrated mostly in ecology and conservation-oriented outlets. The study found that conflicts surrounding invasive species arose based largely on differences in value systems and to a lesser extent stakeholder and decision maker’s risk perceptions. To confront or avoid such situations, the authors suggest integrating the plurality of environmental values into invasive species research and management via structured decision making techniques, which enhance effective risk communication that promotes trust and confidence between stakeholders and decision makers. With the support of U.S. National Science Foundation Grant (IIA 1261229) Patagonia Research Experiences for Students in Sustainability or “PRESS“, 5 undergraduate and graduate students from Northern Arizona University (NAU) arrived to Ushuaia, Tierra del Fuego to initiate their projects with Argentine mentors from a suite of partner institutions. In the coming years, the project will fund 7-8 students per year, and after the ending of the NSF funds the programs sustainability is ensured by being part of the Global Science and Engineering Program at NAU and internationalization efforts in Argentina. In 2015, OSARA is proud to coordinate the following projects. Erik McCaughan, B.S. Biology, studying the trophic and population ecology of native southern river otters and invasive American mink under the guidance of Drs. Alejandro Valenzuela (Argentine National Parks Administration-APN and National University of Tierra del Fuego-UNTDF) and Laura Fasola (Austral Center for Scientific Research-CADIC). Tierra del Fuego & Santa Cruz Provinces, Argentina. Faythe Duran, B.S. Biology, studying the soil conditions in a national observatory site for desertification under the guidance of Dr. Alicia Moretto (CADIC-UNTDF). Tierra del Fuego Province, Argentina. Montana Johnson, B.S. 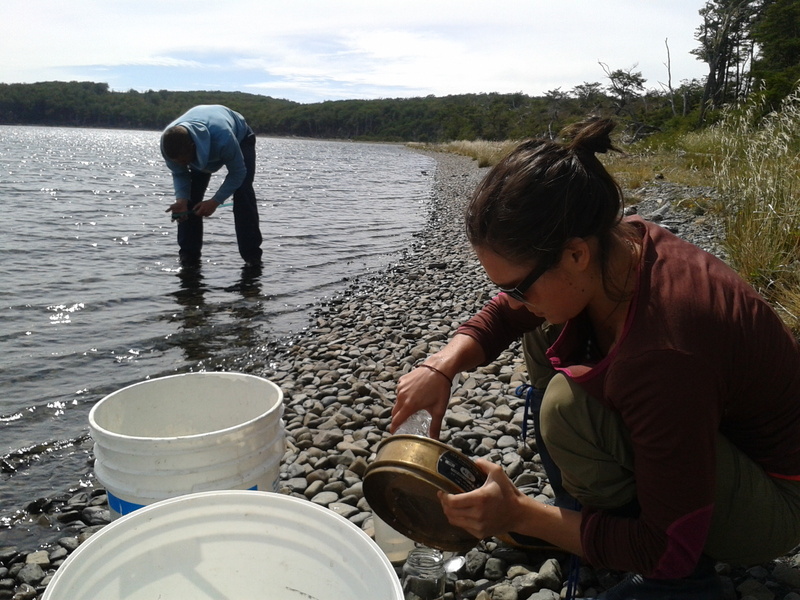 Environmental Sciences, studying stream macroinvertebrate assemblages associated with different habitat types in Tierra del Fuego under the guidance of Dr. Christopher Anderson (CADIC-UNTDF). Tierra del Fuego Province, Argentina. Taylor Oster, B.S. Environmental Engineering and B.A. Spanish, studying indicators of trail sustainability in Glaciers and Tierra del Fuego National Parks under the guidance of Laura Malmierca (APN). Tierra del Fuego & Santa Cruz Provinces, Argentina. T.J. Schmidt, M.S. Climate Science & Solutions, studying the carbon footprint of the wool industry in Santa Cruz Province, Argentina under the guidance of Dr. Pablo Peri (National Institute of Agricultural Technology-INTA and National University of Southern Patagonia-UNPA). Santa Cruz Province, Argentina. 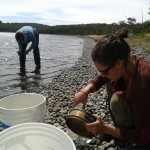 Since 2012, Northern Arizona University and a suite of partners in southern Patagonia, coordinated by OSARA, have forged new and productive relationships in the area of conservation, socio-ecological research and sustainability science. The first fruit of this relationship was the NSF International Research Experience for Students grant, known as “PRESS“. Now, as these relationships have grown, a new proposal has been funded by both Argentina’s National Council for Scientific and Technological Research (CONICET) and the U.S. National Science Foundation (NSF) as part of international cooperation efforts. This new project, entitled Understanding biotic and institutional drivers that facilitate or constrain watershed restoration: a comparative study of two iconic landscapes from Patagonia and Grand Canyon will fund Drs. Christopher Anderson and Sebastian Ballari from Argentina to conduct work at NAU, while Dr. Erik Nielsen will come to collaborate in Tierra del Fuego.